WEEKLY RENTALS are from a Friday at 4 p.m. (3 p.m. in winter) to a Friday at 10 a.m. and include linen, towels, electricity and one cupboard full of logs for the log burner. AVAILABILITY CHART: Scroll down to see an availability chart for The Granary Cottage. This chart is non-interactive but is updated each time a booking is taken. WIFI: The cottage has fibre optic cabled unlimited Broadband. From a WiFi device, tested at Download 51 mbps, Upload 47 mbps. LOGS FOR LOG BURNER: a full cupboard of logs is included in your stay. An extra load is charged at £25. LINEN AND TOWELS: One full set of bed linen and towels is included in your rental per week. For a two week stay, a fresh set of linen, towels and drying up cloths is provided but the cottage is not cleaned. BABIES: The cottage is perfect for babies as there is room for a cot in the main bedroom (or sitting room if you prefer a better night’s sleep!) A travel cot is available but as it only has a basic mattress so I suggest guests bring their own softer mattress and their own cot bed linen. Towels can be provided. A high chair and a changing mat are also provided. However, THE COTTAGE IS NOT SUITED TO TODDLERS as there are big, unguarded drops on the paved terraces and the log burner could also provide a hazard. There is not enough room for older children. BREAKFAST IN THE HOUSE WITH B&B GUESTS: This is entirely possible provided I have guests booked into the house. Please contact me the night before so we can see if this is possible – charged at £15 per person. 25% of the whole stay as part payment is payable on reservation. Payment can be made by cash, cheque (made payable to Kiloran McGrigor) or by bank transfer (bank charges are payable if applied – it depends on the relationship of your bank and mine – Barclays.) I have cancelled my credit/debit card facility as the charges were extortionate and bank transfers work just as well. It happens, but please let me know as soon as possible. Once your part payment of 25% is paid, a contract exists between us. This is refundable up until 6 weeks (42 days) before your arrival date. At 3 weeks (21 days) before your arrival date, the balance of payment will need to be paid even if you cancel – for whatever reason – unless I am able to re-let the cottage. The more warning you give me, the higher the chance I can minimize your loss. For this reason I recommend that you consider taking out travel insurance. 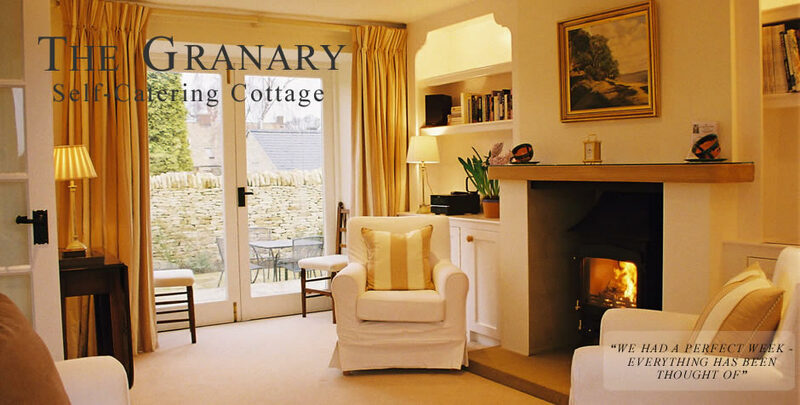 The Granary Cottage is a No Smoking property. Thank you for respecting this.